Web design comes from the same recognition we all have when we see an actual store. 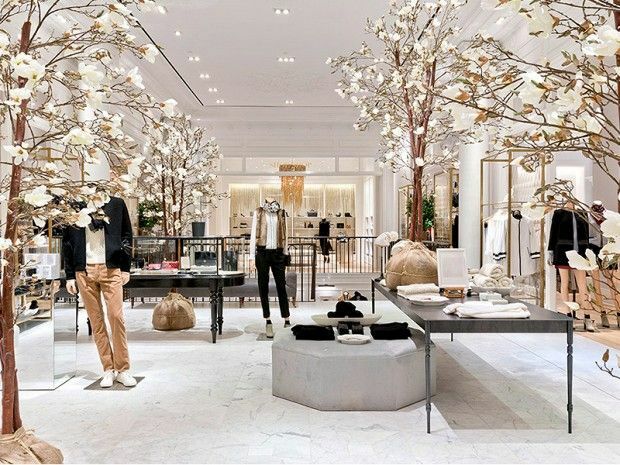 We are more inclined in general to walk into a store that looks beautiful. We are most interested in interacting with a store that looks up to date and modern. Regardless of a store even if you are selling antiques the store should look like it’s swept from time to time and that things are being cleaned and inventory updated. All of these things work in the same manner as they do online. The internet has pretty much given its users the ability to teleport to different locations throughout the globe instantaneously. Often people will think of their digital spaces in a different framework than physical ones. What an interior designer does for a brick and mortar storefront, a website designer does for a digital storefront. Keeping customers engaged and responsive requires the same attention to cobwebs and trends as any physical place. When people step onto the web they enter into a giant digital mall. Most of the basic rules of attraction that apply to attracting crowds of consumers to your store are the very same. When one thinks about web design in this manner it becomes clearer which steps to take in what order. Like any store you want your audience to know what you are about. They want it to look clean and straightforward. It should be inviting and totally functional and effective. People will be drawn in by a clean web design, but if there isn’t good content they won’t stick around, let alone purchase anything. Having old pages that are no longer relevant or don’t work properly will turn away people. Having old products that are outdated in an actual store will work the same way. Being a web design company we see digital pages and almost physical locations. When you look at a site you are really there, that’s why we call people on the page visitors. They are coming into your space and checking it out. This is also why screensavers are always pictures of a beautiful place, to merge those two experiences. To make you sensitive to digital location. Attention to detail for web design is absolutely crucial. People respond well to things being congruent with one another for what every message it wants to bring. It’s what attracts all humans to beauty, the utter consistency that you sense. This is why of course we can sense beauty in anything, if something manages to be totally aligned with its purpose it becomes beautiful. Websites are no exception. When a website lacks grace, or personality, or functionality, it won’t draw in the same crowd. At eMagid, we have been involved in web design for around 20 years and have paid close to attention to trends and behaviors of the individuals those trends extend to. We are very familiar with websites and how they should feel once you finish working on it.